Visit homefront.stjohns.ca to read the unique stories for St. John's and the Great War. In 2015, the City of St. John's committed resources and funds to commemorate the First World War. 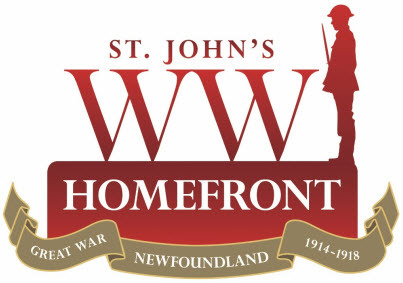 This website was created as a lasting legacy to the stories of St. John's - the Homefront - and the war. All text and images were prepared by writer and editor Dale Russell FitzPatrick of Heritage Interpretive and Publishing Services for the City of St. John's, with the support of the City Archives, the Provincial Archives.